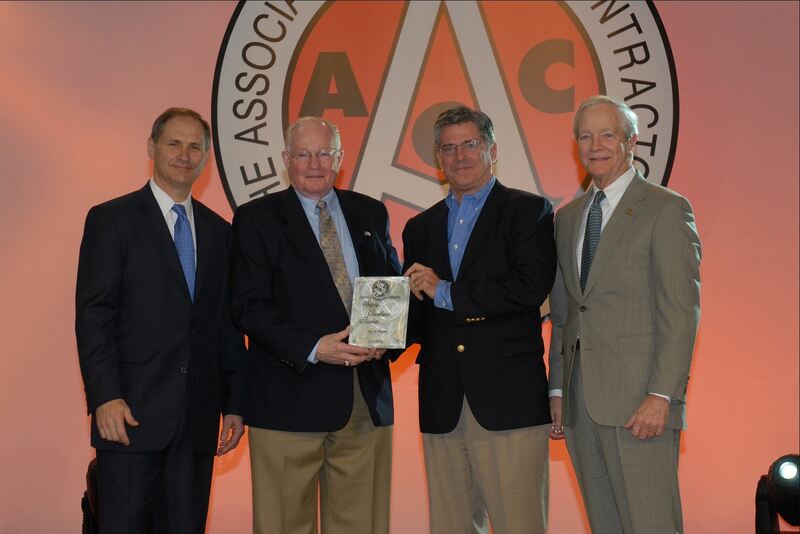 JF White Contracting recently earned second place for a prestigious national award – The Associated General Contractors of America‘s Construction Safety and Excellence Award. JF White competed against other specialty contractors in the Federal/Highway Division with 700K to one million hours worked. According to the AGC web site, “the purpose of the CSEA is to recognize those construction companies who excel at safety performance. CSEA will closely examine each candidate’s commitment to safety and occupational health management and risk control. Unlike the National AGC Safety Awards (NASA) program that limits the criteria to frequency rates, the CSEA selection process is considerably more comprehensive. Judges will look for evidence of company management commitment, active employee participation, safety training, work site hazard identification and control, and safety program innovation.”Winners were honored at the 2013 AGC Annual Convention in Palm Springs, CA.